The Burning Times, or Witch Craze is a dark time in history. What really got it going were two main things. In 1320 Pope John XXII authorized the Inquisition and then of course the publication of the Witch’s Hammer (Malleus Maleficarum). This book was written by two Dominicans named Jakob Sprenger and Heinrich Kramer. They were inquisitors of the Catholic Church and worked in the Holy Office of the Inquisition. The purpose of this office was to defend the Catholic and trial other religions. The Holy Office was one of the most feared in Europe. The Burning Times lasted almost four Centuries, but the presence of the witch trials was reduced in 1682 because Louis XIV enacted an edict. The actual witchcraft act wasn’t repealed until 1951. The very first trial against witches was even before Pope John XXII, happening in 1245 in Southern France. Pagans were not the only religion that was affected in this time, other religions that suffered included Hindus and Jews. Also homosexuals were tortured and killed at this time. 85% of those killed in the Burning Times were women. Women’s power was associated with darkness and death. Witchcraft was bad because it brought up ideas of women actually having power. Women healers were brutally burned at the stake, even though the vast majority of these healers were practicing Christians. During these times, women could not gather together, especially not at night. Those who did continue to practice had to do it in severe privacy and be careful with who they communicated with. Neighbours and family turned on each other. It was a hard time, and it was especially difficult to be a woman. Woman was the obstacle of mans holiness. Over 40,000 people were burnt, hung or tortured to death in Europe alone! Sadly, people were still being charged with being witches and for performing black magic in the 1980s and 1990s and were killed in places like South Africa and Indonesia. The word ‘Witch’ was confused with ‘Satanist’, and so people were taught to fear the word. There are obviously still numerous misconceptions on the word. Cultural rituals were dismissed as witchcraft. Even in today’s time people still cannot escape the vision of an old woman with warts and a pointy hat and riding around on a broom. The witch’s hammer is a book that has been rewritten and published numerous times. Citizens would refer to it religiously, which started horrific deaths and torture that lasted for almost 400 years. Mass hysteria spread after the first publication. It is divided into three parts: details on how a witch is real and so is the dark magic they cast being the first part. Secondly, it depicts such details as pacts with the devil, that the witches were responsible for. Lastly, it has various methods and techniques on how to trial a witch. Having flipped through this book personally, I noticed various mentions of St. Augustine and St. Raymond. It is declared that torture and execution are acceptable methods of punishment and trial. And because the average lifespan in this time was around 40 years old, being elderly meant that you were a witch. Being blamed or pointed out by anyone for any reason as being a witch, pretty much meant that you were to face a trial. The majority of those punished were actually Christians. People in the community would blame someone for the crops being bad, someone being sick, or just looking odd, and then the community would watch them being burned or tortured in the town square. The burnings and hangings were a form of entertainment and people would cheer and bring their children to watch. – removal of eyes or tongue. There were witch hunters who gained money by charging magistrates for every person who was executed of confessed. Of course if you confessed, you were sentenced to death, it just meant less torture. If you did not confess and declared you were innocent and not a witch, you may be forced to a test. This was to see if you really were innocent of not. There were countless methods and outrageous ideals when it came to these tests. Some of the ways to see if you were a witch included things like ‘the water test’. which mean that you were dropped into the water, with your arms and legs usually tied. If you sunk and drowned that meant that you died an innocent death, but if you floated and lived, you were found guilty and were killed. Another method was ‘the scales test’, where you would be weighed against the bible. If you weighed more than you must not be righteous and are guilty and to be killed. One other popular method was a tricky one. ‘the piecing of skin’. someone would piece a blade into your skin, if there was no blood or no pain than you were a witch. The tricky part was that people would use things like retractable blades. 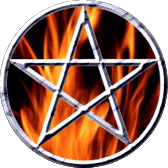 The Burning times were a horrific period of history that has caused irreparable damage and has tainted the name of Witch, Wiccan and Pagan to this day! During the witch craze churches were built overtop of Pagan shrines. Hundreds of thousands were killed and tortured. Unfortunately the Holy Office of the Inquisition is still operating, but it now goes under that name of The Congregation for the Doctrine of the Faith. They currently focus on issues like homosexuality and abortion.